Federico Faggin 1 December 1941 Italian Physicist, Engineer, Inventor Physicist, inventor and entrepreneur, widely known for designing the first commercial microprocessor. He was co-founder and CEO of Zilog, the first company solely dedicated to microprocessors. 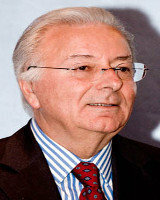 A list of popular federico faggin quotes are given below.